Japan’s regional and augmentation positioning system, the Quasi-Zenith Satellite System (QZSS), is a project yet to be developed. While it will become a constellation of seven satellites covering the western Pacific area, only “Michibiki,” the first satellite launched in 2010 for technological validation , is now in orbit. Still, a reading of the government’s most recent Basic Plan on Space Policy reveals that it is one of the principal space projects of Japan. According to that plan, a constellation of four satellites will be in place by the end of fiscal year 2017, and three more satellites will be added to the constellation by 2023. The operator of the satellites is, and will remain, the Japanese government. Since a Cabinet decision on September 30, 2011, the Cabinet Administration Office (CAO) has been responsible for the development, maintenance and operation of the QZSS. The National Space Policy Secretariat of the CAO is the section responsible for space policy, including the operation of the QZSS. 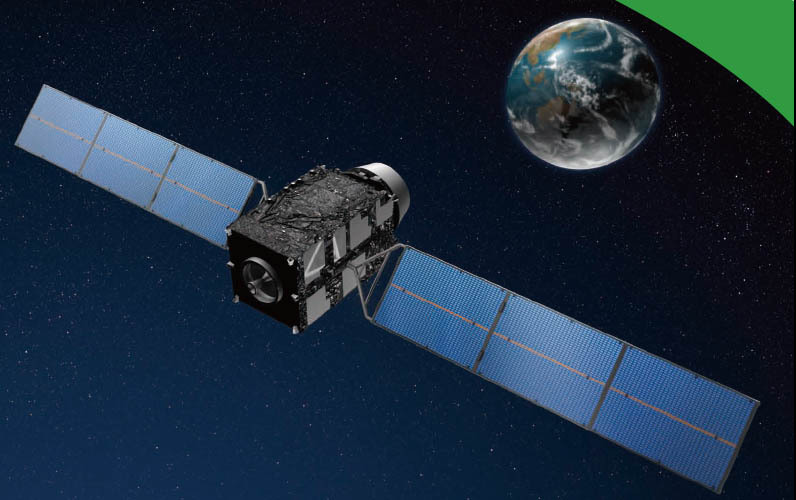 The CAO has already procured three satellites to be launched by 2017 through a public bid. The CAO invited bids for the ground segment in December 2012. 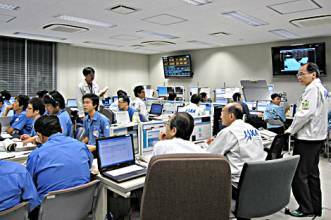 NEC Corporation, a Japanese multinational information technology company and satellite manufacturer, was selected as the provider of the service. The NEC group then incorporated Quasi-Zenith Satellite System Services Inc. (QSS), which became the contractor. The scope of business of QSS Inc. is promoting, improving and managing the ground system through 2032. The scheme specified in the procurement conditions was “build, own and operate (BOO).” Therefore, QSS as contractor owns the facilities and is responsible for their renewal and maintenance, when necessary. Although the PFI Act allows contractors to charge a fee for services if it is allowed under the procurement conditions, no clause on such service is included in the contract for QZSS. The QZSS is a regional navigation satellite system that will augment and complement the U.S. Global Positioning System because QZSS signals are compatible with those of GPS. So in this sense, QZSS adds “extra satellites” to the NAVSTAR GPS constellation. At the same time, QZSS will send augmentation signals that improve the precision of GPS positioning. In this latter sense, it will serve as an augmentation system. The project is based on the idea that three satellites forming a constellation in geosynchronous orbit on different planes will enable at least one of them to be observed from Japan near zenith all the time. The near-zenith position is emphatically suited to Japan, a mountainous country with cities crowded with tall buildings. A satellite on the low elevation angle would not be observable either in urban or rural areas. Once the constellation is in full operation seven years from now, four of them will always be observable from Japan. Positioning then will become possible solely by QZSS, without relying on GPS (or any other GNSS). The project was initially proposed by the Keidanren, the Japanese Business Federation of national companies and associations, in 2001 The Cabinet-level Council for Science and Technology (now Council for Science, Technology and Innovation) endorsed the proposal in a report by a specialized committee in 2004. In the beginning, the cost of the project was to be shared 50/50 by the government and private sector, which was loosely called a public-private partnership (PPP). 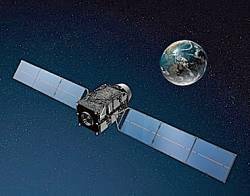 The business sector expected that QZSS satellites would at the same time be available for telecommunication and broadcasting services. Consequently, the Advanced Space Business Corporation (ASBC) was formed with investment from across the whole industry. However, it soon turned out that telecommunication and broadcasting by satellites would probably not be competitive against equivalent services and the enthusiasm of the business sector for QZSS quickly waned. Nonetheless, the project survived. The ASBC was dissolved, but the Space Positioning Research and Application Center (SPAC) was formed as a kind of its successor, focusing exclusively on positioning services. At the same time, the government started to take on larger responsibility. The Cabinet decision of 2011 confirmed it, and the project regained its momentum. With this background, Japan has participated with all of the world’s other GNSS providers in the United Nations-sponsored International Committee on Global Navigation Satellite Systems (ICG). Japan hosted the ICG’s sixth annual meeting in Tokyo in 2011. Under Japanese law, both space-specific laws and general laws are applicable to the QZSS. The first to mention is the Basic Space Law of 2008, which sets forth a number of overarching state policies and stipulates six “basic principles” of Japanese space policy, namely, peaceful use of outer space, improvement of the lives of the citizenry, advancement of industries, development of human society, international cooperation, and consideration for the environment. Under “improvement in the lives of the citizenry” the 2008 law mentions the “promotion of information systems on positioning,” in addition to satellite-based telecommunication and observation systems, and mandates the government to take measures necessary to achieve them. As of April 2016, the bill concerning launch and control of satellites is tabled before the Diet, Japan’s bicameral legislature. The bill, sometimes called the Japanese “Space Activities Law,” provides a regulatory regime for space activities by private entities. However, even after the bill is approved by the Diet and is enforced as the law, it will not be applicable to QZSS, because it does not regulate space activities (control of satellites) by the government. The ground segment alone will not qualify as a space activity as defined in the bill. Among the general laws applicable to the QZSS is the Basic Act on the Advancement of Utilizing Geospatial Information (the so-called National Spatial Data Infrastructure (NSDI) Law of 2007). It provides a general framework for the use of geospatial information, again with the nature of declaring a policy program. Two provisions of the NSDI Law specifically refer to satellite positioning. 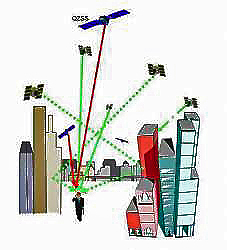 One of them mandates the government to take necessary measures to advance use of geospatial information through highly reliable positioning satellite services, while the other requires the government to proceed with technological research and development feasibility studies concerning satellite positioning, as well as to promote its application. The interference of radio waves is also a matter of international concern. Prior to the development of QZSS, Japan and the United States collaborated on development of Japan’s GPS augmentation system, the Multi-functional Transport Satellite-based Satellite Augmentation System (MSAS). The Ministry of Land, Infrastructure, Transport and Tourism (MLIT) administers MSAS. The two governments issued a Joint Statement on Cooperation in the Use of the Global Positioning System in 1998. Regular consultation meetings have been held almost annually since then, and the collaboration has proven useful to the development of QZSS. The U.S. government has supported the development of QZSS by Japan through these consultation meetings. Under the framework of consultation meetings working groups have been established to ensure compatibility and interoperability of GPS and QZSS. After MSAS terminates its service, which is anticipated to be around 2020, QZSS will replace it as Japan’s satellite based augmentation system (SBAS) for GPS. From the users’ side, positioning by satellites is convenient, but also raises concerns about the privacy, which is actually already a problem because all the smart phones and mobile phones sold in Japan are equipped with a GPS signal receiver. Legally, the privacy issue must be considered on several levels under Japanese law. The basis of the privacy is Japan’s Constitution. Although the Constitution which has not been amended since its adoption in 1947, does not mention privacy explicitly, the courts have held that the right to privacy is included in “the right to pursue personal happiness,” which is one of the basic human rights declared in Article 13 of the Constitution. When a person alleges infringement of his or her privacy and claims damages, however, the Constitution cannot be the basis of the claim as such. The alleged victim must raise either a tort claim under the Civil Code (when the claim is against a private party) or a claim under the State Compensation Act (when the claim is against the national or local government). The Constitution can support such a claim as embodying the underlying value. Furthermore, in the context of satellite positioning, two statutes are relevant. One is the Act on Personal Data Protection, which imposes some specific duties on those who collect information that can identify individuals (“personal information”). Whether that personal information falls under the privacy concept protected by the Constitution or not, the stipulated duties to protect personal data must be complied with. The other privacy-related statute is the Act on Telecommunication Services, which regulates telecommunication service providers. One of the providers’ duties is to respect the secrecy of communication — another fundamental human right protected under Article 21 (2) of the Constitution. Although the Constitution is addressed to the government, the Act on Telecommunication Services extends the duty to private parties, namely service providers. Against these backgrounds, the Ministry of Internal Affairs and Communications (MIC) issued Guidelines on the Protection of Personal Information in the Telecommunications Business, most recently amended in June 2015. The guidelines are accompanied by explanatory notes. As regards the dissemination to a third party of the personal positioning information obtained from a user of a mobile device, the guidelines allow this only if the user has given consent or the judge has issued a warrant. Because positioning information from mobile devices is constantly obtained and recorded by the telecommunication service provider, even when the user does not make a call, it may not (necessarily) fall under the “secrecy of communication.” Therefore, the guidelines require providers to protect user privacy in general as a human right. When a telecommunication service provider does share positioning information with a third party (recipient), it must “take necessary measures” to prevent infringement on the user’s right. The explanatory notes clarify that the necessary measures include (i) the user’s consent, (ii) alert for the users, by indication on the screen or otherwise, (iii) security against unauthorized access to the information and (iv) ensuring respect for the users’ privacy by, for example, appropriate arrangements with the recipient. Further, the guidelines provide that the telecommunication service provider is permitted to obtain personal positioning information either upon a request of the police and in accordance with a warrant issued by a judge or upon request of the rescuing agency if the person is in serious and imminent danger. The positioning information obtained from a user making a call is considered “sender’s information” and is treated differently. Such information is covered by the rules governing secrecy of communication. In principle, the telecommunication service provider shall not disclose the sender’s information except when necessary for its service (such as when the receiver requests its disclosure). Still, cases may arise in which the disclosure of a sender’s information will be justified, such as when (i) the user (sender) has given consent, (ii) the judge has issued a warrant, (iii) the police request the location of the sender in a case of criminal blackmailing by telephone (such as a call from a kidnapper) or (iv) a person makes an emergency call notifying authorities or service providers about an imminent threat to someone’s safety. These guidelines are relevant to signals from any satellite system, whether GPS or QZSS. However, the owner or operator of the QZSS satellites is not a telecommunication service provider, nor is QSS Inc., the operator of the ground facility. Therefore, neither are subject to the guidelines. Law enforcement officers engaged in the investigation of a crime may prefer to place a GPS receiver on a suspect’s car to track its movements rather than acquire positioning information from a telecommunication service provider. Recently, it has been disputed whether such an action by the police requires a warrant by a judge. The legal issue is whether the placement of a GPS receiver without consent of the vehicle’s owner is “compulsory disposition” for which the police must comply with the procedure specified in the Criminal Procedure Law. The same court, however, later held that the accused was found guilty by other evidence than the excluded track record (Osaka District Court, 10 July 2015, unpublished). Before that decision, another judge at the same court (Osaka District Court, 27 January 2015, unpublished) held that acquiring GPS information in a similar way is not unreasonable. The facts of the two cases are different, not least the precision level of the device used. Therefore, how the case law will develop is yet to be seen. The importance of developing applications for QZSS signals is so well recognized that it was written into the conditions of the PFI procurement for ground facilities, which required the contractor to explore potential application services. The operator of the system (whether the government or QSS) is not expected to enter into an agreement with a potential application service provider. The operator will unilaterally send out signals from the satellites, and anyone can use them to develop applications. Technically, the application service provider must accept the performance standard and interface specifications for the QZSS signals. These documents are distributed only to the members of QZS System User Society (QSUS). The membership of QSUS is open to any individual free of charge. With regards the civil liability that could arise in case of errors in signals, an issue sometimes discussed in Europe, no specific arguments have been made. A general understanding seems to be that the operator can be immune from such liability, if the performance standard and interface specifications include a disclaimer that mentions the need for incorporating redundancies, where necessary. The apparent absence of concerns about liability may partly be due to the fact that QZSS has developed as a complement and augmentation to GPS. The signals, like GPS, are sent out without charge and this may give the impression that the user makes use of the signals at their “own risk” without liability to the system operator. This commonly held belief may not be entirely correct, however, as levying a charge is only one of the factors that determine an operator liability and not a conclusive one. Further, unlike in the United States, sovereign immunity has been abandoned in Japan and the government can incur liability based on negligence under the State Compensation Act. These differences, however, have not attracted much attention yet. Japan’s QZSS is similar to the European Galileo in that its use is limited to civil and commercial purposes, with no military use being intended. As such, not only the space-specific laws but also general laws such as the Civil Code, Radio Act and Telecommunication Services Act will be relevant. Until now, only the privacy issues have been much debated, because they are common to GPS and, therefore, are already real problems. Other issues such as the contractual framework with application service providers or the tort liability for erroneous signals have not yet discussed. Still, they might gain larger importance once the system is in full operation. Pekkanen, Saadia M., and Paul Kallender-Umezu (2010), In Defense of Japan: From the Market to the Military in Space Policy, Stanford University Press. Tsujino, Teruhisa (2005), Effectiveness of the Quasi-Zenith Satellite System in Ubiquitous Positioning, Science & Technology Trends – Quarterly Review (NISTEP) 16: 88.